Summer is waning but thankfully it stuck around long enough for one of the best outdoor festival events we’ve ever organised with 450+ people enjoying dry conditions at Wilton last weekend. Big thanks to all the volunteers who made it happen, we’re looking forward to the next one already. There’s an important new position at the BMC and we’re looking for the right candidate to become the Chair of our Board of Directors. 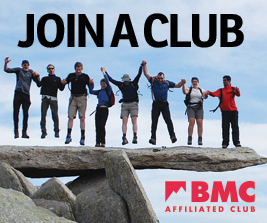 The Chair will help build consensus across the organisation in a time of development and change, focusing on delivering the BMC’s future strategy and working with officials and staff to ensure the BMC remains member focused and represents the best interests of all those who climb and walk. The Chair will have the skills, time and energy to strengthen and grow the BMC and activity as a whole. Candidates are encouraged from amongst the membership and others with a genuine interest and involvement in our work and activities. If you’re interested, find out more and how to apply here. The BMC is seeking a Chair to lead the Board of Directors and build consensus across the organisation in a time of development and change. It's back. It's bigger. And it's better. We've launched a massive crowdfunding drive for Mend Our Mountains: Make One Million. It's your chance to get your hands on incredible rewards, while helping our flagship campaign. £29 for 7 days in sending season: book your rock climbing travel insurance now! Sending season is here! 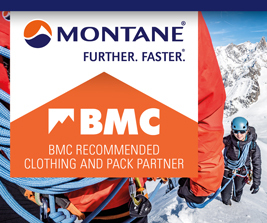 This autumn, there's 20% off single-trip BMC Rock Insurance. Get our best deal on rock climbing travel insurance until 31 October 2018. Pupils from Loretto School in East Lothian, Scotland, will be donning their boots next week to raise funds for the Mend Our Mountains: Make One Million appeal to look after the country’s upland foot paths. Fantastic performance from Emily Phillips and the GB Climbing Team at the IFSC Bouldering World Cup in Munich last weekend. Meanwhile, Jernej Kruder of Slovenia and Miho Nonaka of Japan become the Bouldering season champions at the last Boulder World Cup of 2018. Here's Liam Lonsdale with a report. Hannah Slaney rose to the top of the first Bouldering podium in Moscow, Russia, at her very last IFSC Youth World Championships – an amazing end to her youth career. We caught her on the podium to see what she thought about her win. 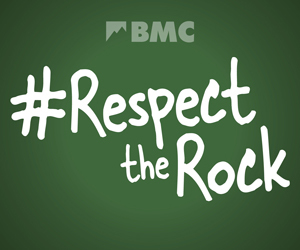 Seven weeks on from the BMC's historic, constitution changing, AGM, BMC president Lynn Robinson updates us on the progress to implement the recommendations of the Organisational Review Group (ORG).